NEW YORK CITY — Some neighborhood businesses are using social media to build and interact with their customer base and grow sales. With studies showing nearly three in four American adults are on at least one social media platform, it makes sense for small businesses to embrace social media "because they are reaching a wider range of people they wouldn’t normally reach,” said Monique Hector, who teaches business owners how to use social media through the city’s Small Business Services department. "What I've found is that social media worked for us and we have thousands of people coming," said Steve Klein, the co-owner of Dough, a doughnut shop with locations in Bedford Stuyvesant and Flatiron. Klein estimates that 60 percent of customers come either through Dough's Instagram account or the personal accounts of customers. Social media also helps businesses convey their passion for what they do, and it's the easiest way to answer customers' questions and build a community around their business, Hector said. Brookelynn Starnes, the owner of the East Village boutique Cloak and Dagger, said she naturally leans towards Instagram to connect with customers. For Starnes, Instagram appeals to her visually conscious customers, and she takes the time to capture and present the best image. "It’s important to have clear photos — not crooked, not blurry, [but] somewhat interesting in the way it is laid out,” she said. Some photos are of Starnes wearing the item she wants to promote. Another photo might be of a thoughtfully arranged still life of nail polish and bras laid out on a sheepskin rug. “I try to curate the page, and by curate I mean make sure it has a lot of variation, too,” she said. Each social media platform that Robert Pettersen manages for Fellow Barber has its own purpose. 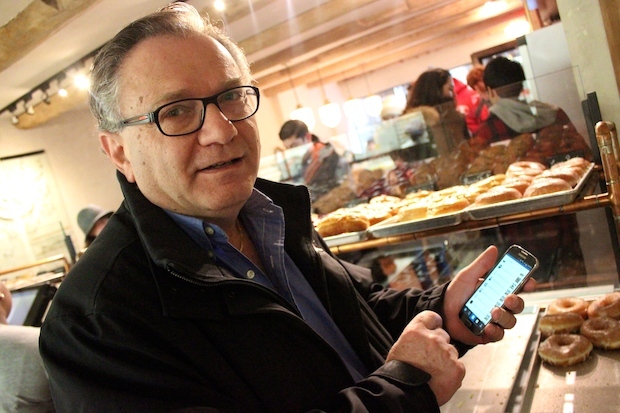 He uses Facebook to start conversations with customers and notify them about special promotions. Twitter is used to keep up with trending topics on men’s grooming and Pettersen Instagrams to show the brand’s personality through images of its staff and customers. “As much as we try to be strategic, it is really organic. You see a good opportunity to take a photo and you take it,” said Pettersen, who estimates that he pours about 20 hours a week into the three platforms. Contrary to the restrictive social media policies of many other businesses, Fellow Barber has found success in giving individual barbers free reign to cultivate their own online following, according to Pettersen. One of its barbers, J. Clark Walker, recently received a shout-out from Details Magazine in its listing of “The 5 Coolest Barbers on Instagram.” Walker has almost 5,000 followers. “It can be a plus for them to build clients, a barber who is digital,” said Pettersen. Farid Ali-Lancheros has found that social media provides a foot in the door for unique opportunities, like getting the ear of local leaders, landing a spot in an HBO documentary on marriage equality and even meeting President Barack Obama. Ali-Lancheros has mastered the art of social media etiquette. When he shared other people’s content, he found that they would return the favor and share his, or they would at least become aware of his business. On his social media accounts, he has also focused on promoting the neighborhood in general. “By pushing their agenda, I find them coming to me with opportunities to promote the business,” he said. Through trial and error, doughnut shop owner Steve Klein, 60, has figured out what Dough’s Instagram followers want: images of doughnuts, the more the better. For example, a group shot of the cast from "Sway," a Broadway show starring dance instructors from TV show "Dancing with the Stars" had 400 likes. A photo of the dozens of doughnuts they were about to eat: 1,200 likes. Klein has learned that on Instagram, food is a lot like fashion: Creative, colorful and clear photos do the best. Customers also get into the act by uploading dozens of photos each day to their own Instagram accounts. Klein uses many of these for Dough’s Instagram account, giving credit to whoever took the photos. Allie Gordon, who manages social media for Toby’s Estate cafes, spends about five to six hours a week on the company's Facebook, Twitter and Instagram accounts. If customers have questions, rather than calling the store or checking out the website, many will ask through the cafe’s social media account. This means Gordon has to keep tabs on the accounts throughout the day. She has also found Facebook useful for long-form storytelling. Recently, a staff member visited Honduras to oversee the implementation of projects paid for with money the cafe raised for a school there. The staffer recounted the trip on Facebook so that donors could see their money at work. “A lot of customers were a part of that fundraiser and we wanted to keep them informed,” said Gordon.